Individuals, vast in their interests and their time preferences and overall appetites, are to be made homogeneous by an overarching system which predetermines the price floors, ceilings and general priorities of life. Of course, all of this exists merely in abstract form. However, the supposition proposed by those who champion the agenda of “basic needs” fails to complement the progress achieved by the abolition of presumed guilt by the sole misfortune of birth or race, a precedent codified in 1865 to counter previous rulings, especially one landmark 1857 decision. There is all of the difference in the world between treating people equally and making them equal. Since there exists no passive means by which to ensure that all hereditary, biological, anatomical, geographical or financial advantage is equalized, there remains only one means by which all persons can be received as near-equals: the scope of law. Let us first be clear that this civilization, full of diverse persons of vast demands, ambitions and interests, seldom, outside the ease of political or intellectual discussion, takes interest in equality in the confines of their respective agendas. Every bit of human action is self-interested and compelled by the perception of advantage. By this phenomenon, equality is rendered a complete impossibility so long as individuals behave as their own representatives. At the granular level, we may easily sift through striking inequities to determine the reasons and impetuses directing these outcomes. Ultimately, the means by which data compilation reduces human behavior to traceable metrics outright dismisses the ambiguity of the purpose of life. 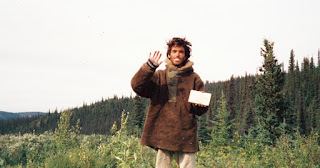 One emblematic example of this is apparent in the story of Chris McCandless, the principal character of the true story “Into the Wild.” In Chris’s short life, he is the sole producer and consumer of goods. His economy is hardly sustainable, let alone quantifiably significant. How can we measure the success of his life if our computational gauges are not intended to capture his objectives? Even the most sophisticated of algorithms would fail to adequately model the quality of his adventure, and any attempt to gauge and reconfigure it would surely undermine its significance and the treasured yet often overlooked value of personal liberty.